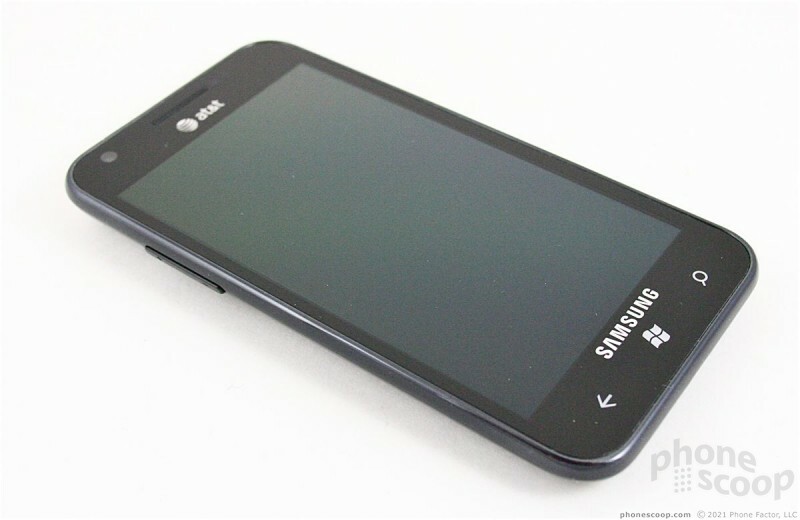 The Focus S for AT&T is hardly discernible from Samsung's extensive line of Galaxy S/S II smartphones. 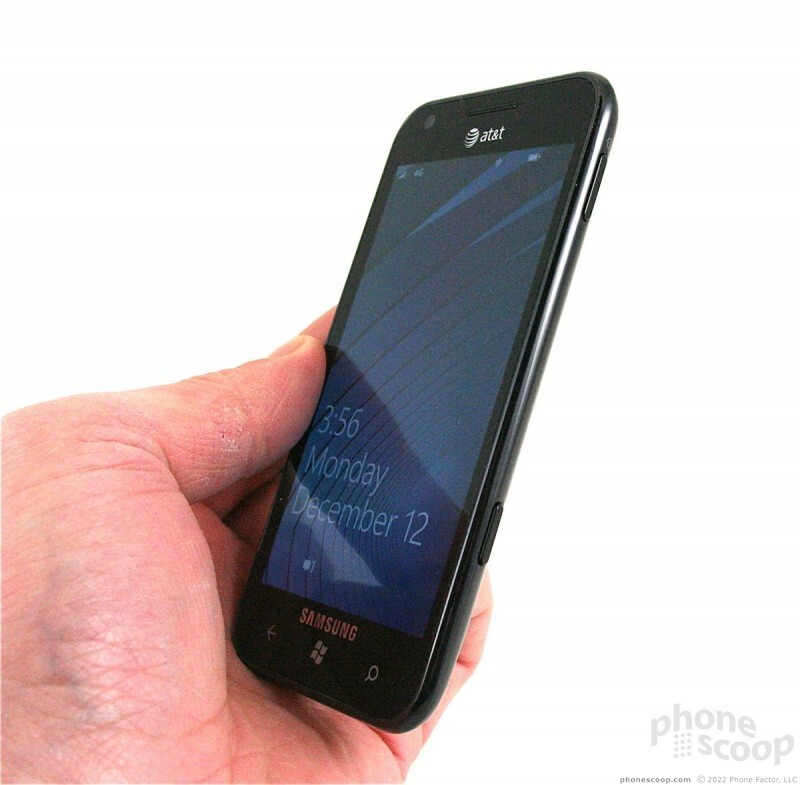 From a distance, only the sharp-eyed geek would spot the only obvious difference between the Focus S and the Galaxy S II: three capacitive buttons instead of four. 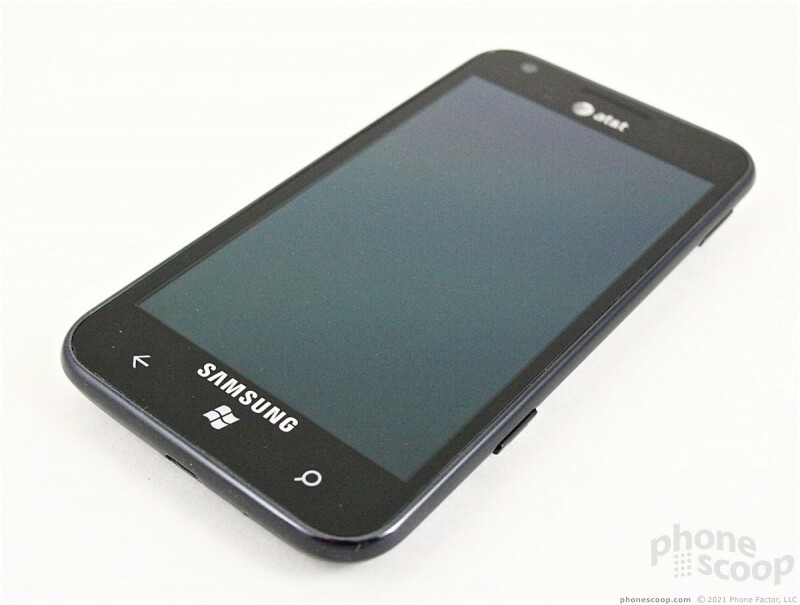 It is an inky black slab of plastic and glass, and looks like about two dozen other smartphones on the market. 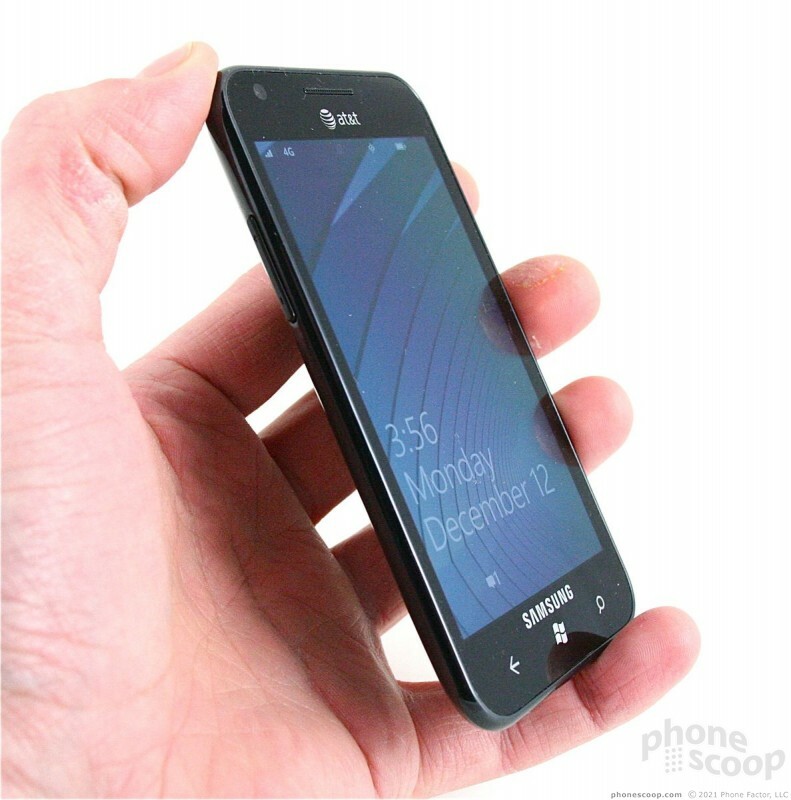 The Focus S is a generic piece of smartphone kit from Samsung, but the feel of it in the hand is very good. It is thin, light, and the 4.3-inch display cuts down on the dimensions a bit. I found it very comfortable to hold and use. That plastics don't have the best feel in the world, but they don't feel as cheap as those Samsung has used on its Galaxy phones. The Focus S is solid and the build quality is excellent. 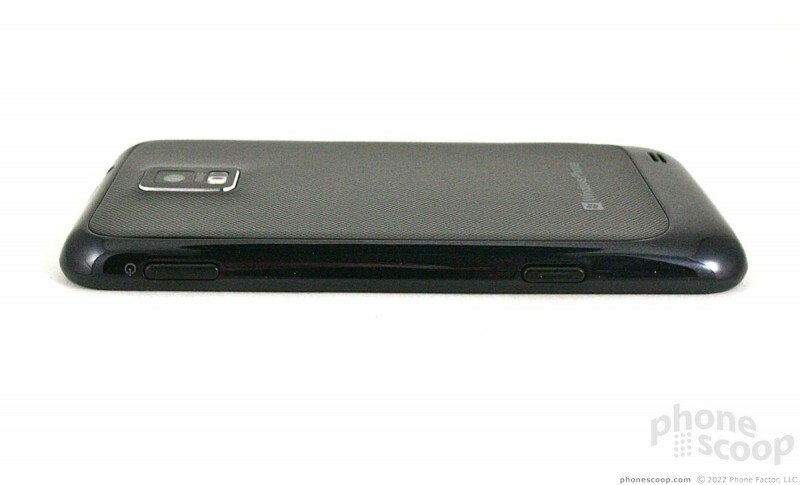 Thanks to the smooth and somewhat curved surfaces, it will easily slip into most pockets. With 4.3-inches of Super AMOLED Plus display stretching across the face of the Focus S, there's little room for anything else. 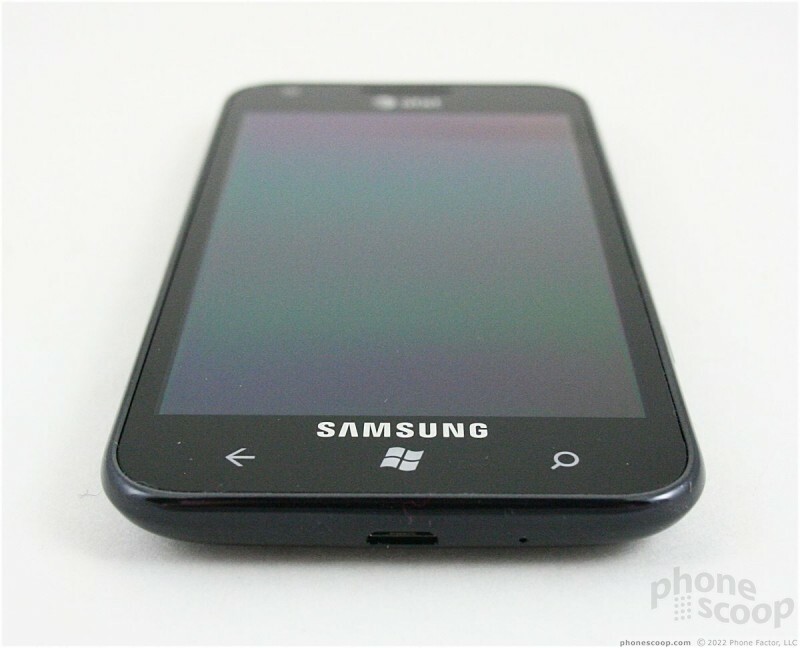 Samsung did manage to place three capacitive Windows Phone keys at the very bottom edge. They all worked fine. Other controls are kept to the bare minimum. On the left, you'll find the volume toggle in its customary place. It's well defined and has excellent travel and feedback. The lock button is opposite the volume toggle, on the right side. The lock button is also well defined; travel and feedback were acceptable, but not quite as good as the volume toggle. 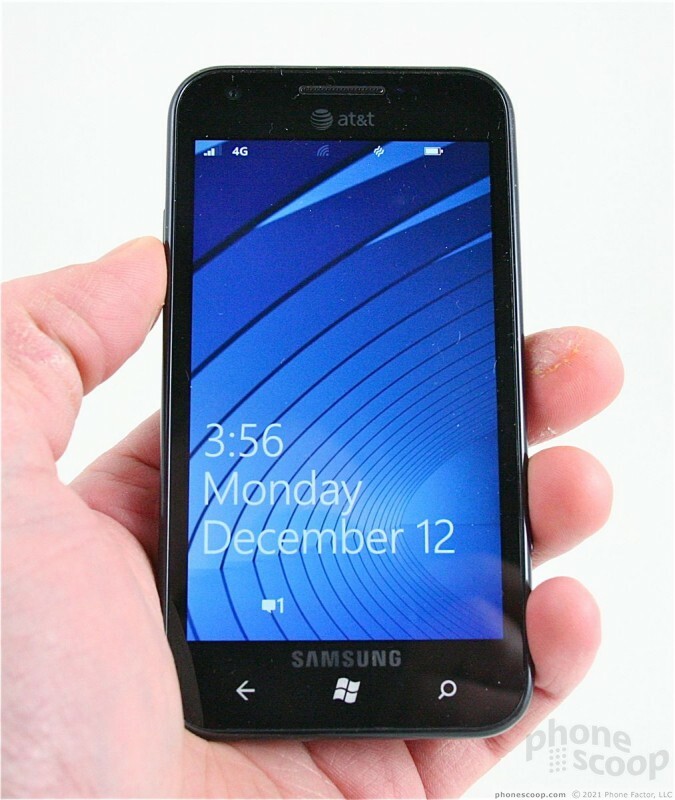 As with all Windows Phone devices, the Focus S has a dedicated camera button. It's on the right side of the Focus S, and protrudes quite a bit from the side surface. It's a dual-stage button for focusing and closing the shutter. Both stages are well-defined. It's a good camera button. 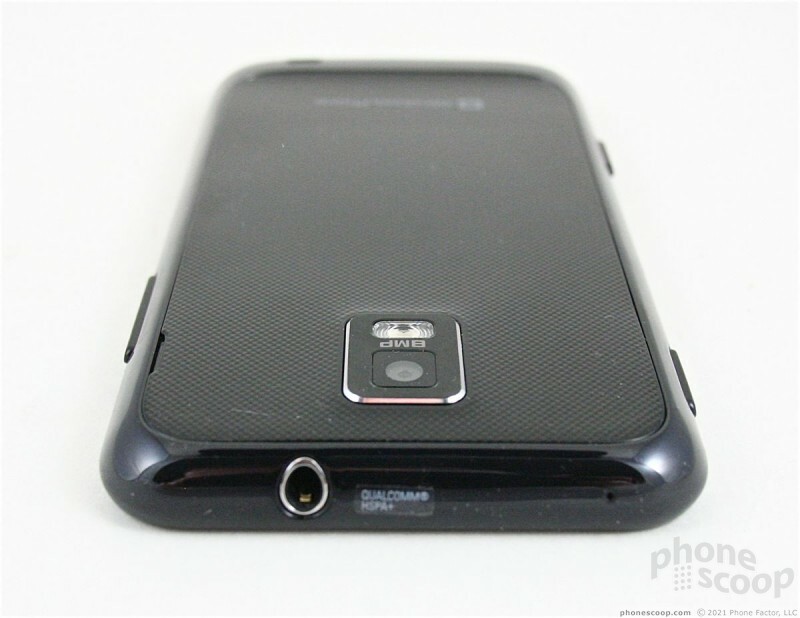 The microUSB port is tucked into the bottom edge. The 3.5mm headset jack is on top. 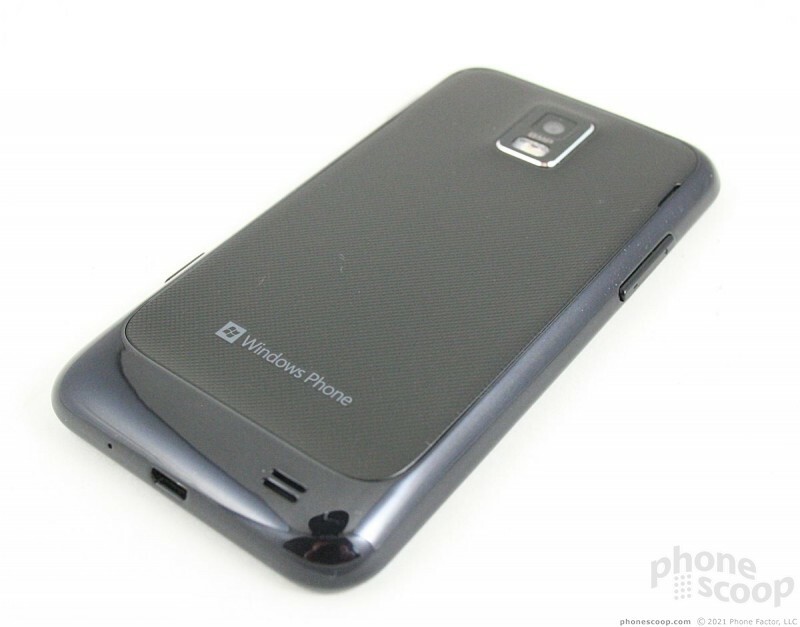 The battery cover — which is identical to most current Galaxy S phones save for the Windows Phone logo — peels off easily enough, but it is extremely flimsy. The huge battery is accessible once the cover is removed. The SIM card can be taken out without removing the battery. Since Windows Phone doesn't yet support removable storage, there is no microSD slot on the Focus S.
Over all, the Focus S is an impressive phone. It may take a me-too approach to its design, but the hardware is functional and solidly put together.